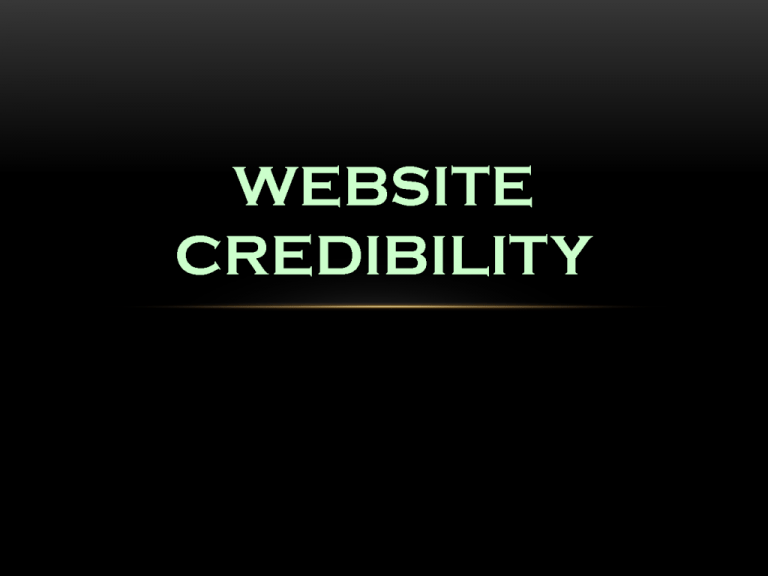 What Makes Your Website Less Credible? Websites such as Amazon and Apple do not have credibility issues. But your website may be suffering from some serious issues that are responsible for visitors not having much faith in your site and business. So, what are the factors that lead to distrust of visitors in a site? People usually get the first impression of website by looking at its design. Attractive websites create feeling of professionalism and trustworthiness in consumers. So, check your website design and make it attractive. A point to note is that most of your web pages should clearly show up your address and phone number to generate trust. Also, the customers should be able to contact you or your company easily and quickly. A website that has relevant information for the users is more creditworthy. Therefore, remove all the unnecessary details filled in your web pages. Another way to create trust in your website is to provide fresh photos of your key staff and give information about them so that the consumers can know the people they are dealing with. Your website must also incorporate visible return and refund policy so that consumers have faith in your services. If you sell products, detail information about them is essential to generate confidence amongst the consumers. Another point to note is that if your site ranks on the top search result pages of Google, the customers generally take the site seriously. These and other steps can restore faith of your consumers in your website.